Muneera Allie: Are cell phone towers a health risk?? Just about everyone these days have cell phones, use microwaves, watch TV etc. We see cell phone towers increasingly being erected in our neighbourhoods, around our workplaces and schools. We scramble from room to room to get better reception from these towers. Have you ever considered whether these towers and our increased exposure to electromagnetic waves pose any health risks?? If not, it’s about high time you start questioning it in my opinion. 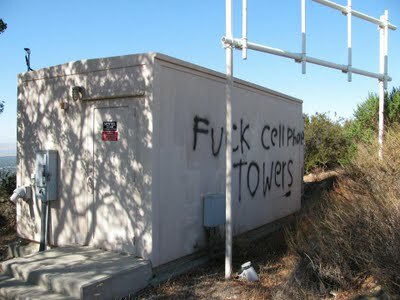 I was chatting to a friend recently who relayed her stories and troubles with these cell phone towers. Living on a bit of an incline – her neighbours discovered that a flat block just below them had erected several cell phone towers to its roof. These electromagnetic waves are thus directly filtering through their homes. Neighbours soon started complaining of sleep disturbances and even skin problems with their children. Some even opted to move out since no amount rallying to do something about yielded any joy. With news of yet another cell phone tower to be erected in the neighbourhood- many residents complained and petitioned with the City to avoid its erection. My friend in particular, a school teacher, complained of sleep disturbances. Whilst on holiday abroad recently, she discovered that she easily fell asleep (within 5 mins) after waking up for a loo-run in early hours of the morning. Back home- it would take hours even if she was lucky enough to fall asleep again. She then sought aid in sleeping pills for a while but luckily a healthier solution presented itself after a little discovery – which I’ll tell you a bit about later. Bottom line- governments and cell phone companies insist they pose absolutely no health risks. And if you asking me, its got more to do with meeting the increasing demands of cell phone industries. 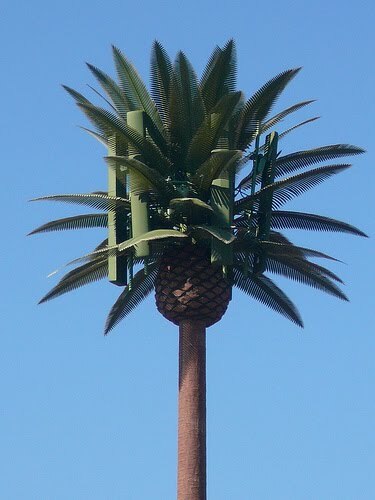 Typically, cell phone companies pay you rent to erect a tower on your property. Ching Ching Ching!! Yet there is countless research to prove otherwise that we are not made aware of for obvious reasons. Some of this research proves that exposure to electromagnetic waves have grave adverse effects on our health, such as: mood swings, indigestion, ulcers, joint pain, brain tumors, suppressed immune function, depression, miscarriage, Alzheimer's disease. Some of the symptoms of microwave exposure are reported as: asthma, cataracts, headaches, memory loss, bad dreams, depression, fatigue, concentration loss, appetite loss, heart and blood pressure problems, and cancer. And it is insisted that they do not pose any threats??? Back to my friend and her discovery. She found a dude (a very old dude actually) in Somerset West that sells electromagnetic field protectors. It looks much like a fridge magnet actually. Basically- she popped this little thing under her bed and even bought one for her dog. Not only has she stopped taking sleeping pills, but now also has to wake the dog in the morning. So the dude advises its good to keep one of these on your person, place it near your PC when working and pop it under your bed at night. This helps protect us from “electro-smog” as he calls it. He explains that electro-smog has the effect of raising the body’s acid levels and the idea is try to alkalize it. There are countless more things we can do to assist our bodies with this mission. And, if you’re interested in the dude’s details – just hola. My humble advice, educate yourself about electromagnetic waves and its effects and decide for yourself. Try out an electromagnetic field protector and check if you feel any difference. Quite easily, you’d be making the health choice of the century. dol!this is very interesting, one needs to get herself informed about such things, i never thought that it(cellphone towers) would have such complications on us. So glad you found it informative - & thing is ... the research available is not new at all... we are just kept in the dark- like most things authorities would rather not have us know. And also- speakerphone might be a better option than to have cell stuck to ear for long conversations. There has been a long ongoing discussion about the health hazard that comes along with using a cellphone. With how advanced our world is today, I don't believe it would be easy to completely eliminate radiation in our environment.